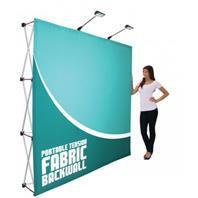 The Fabric pop up is one of the quickest easiest way to create a large backdrop for retail, shopping centre or exhibition displays. 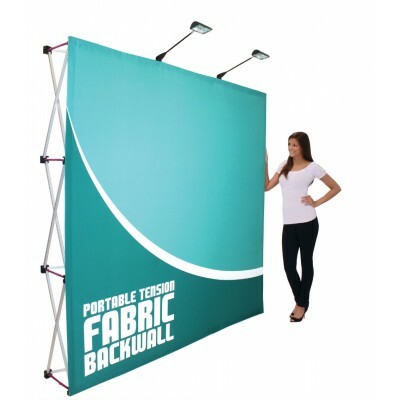 These lightweight systems have a high quality printed fabric graphic Velcro to the frame that stays on even when packed away. 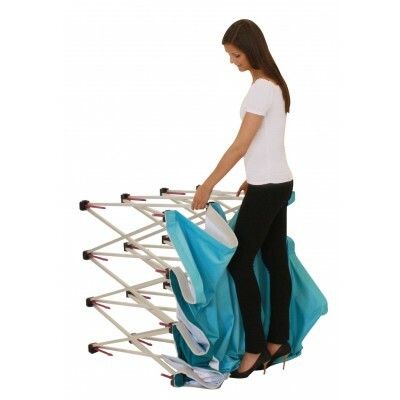 This type of stand is particularly ideal for customers traveling abroad that require a compact and lightweight stand that sets up in seconds. 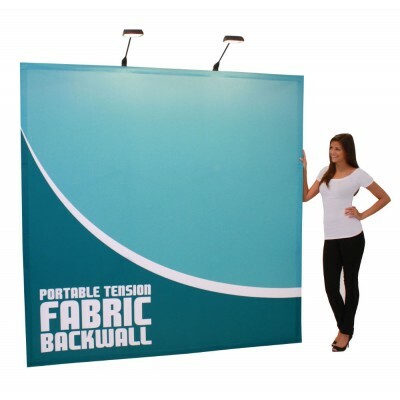 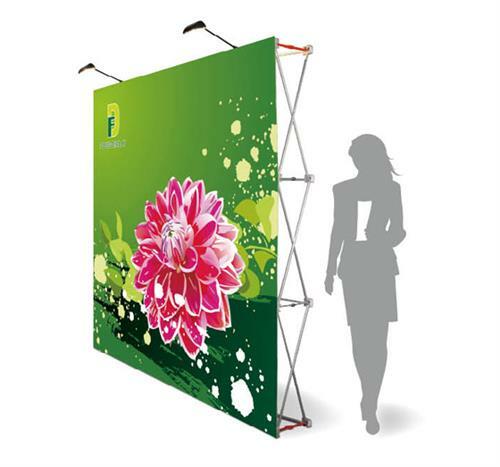 The fabric stands weighs considerably less than the more conventional pop-up displays with heavy panels and drums thus saving money on transport cost.